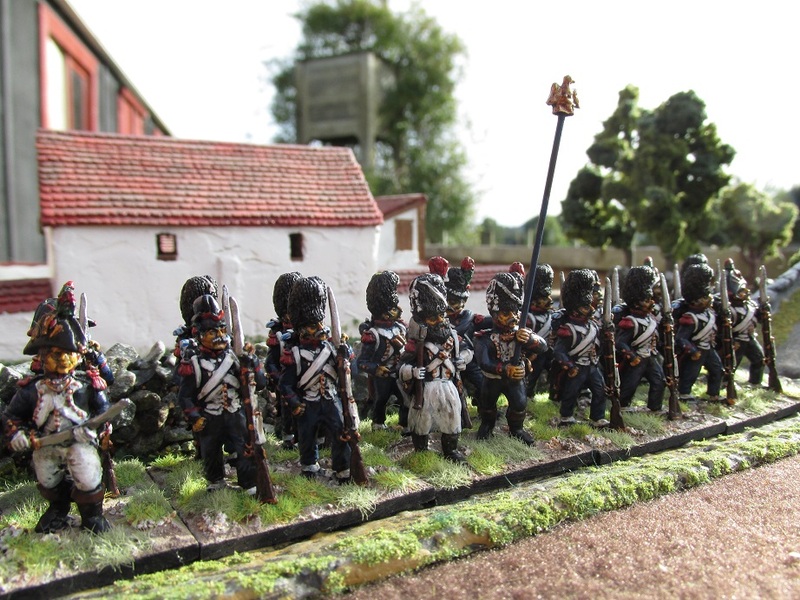 My troops, both French and British have finished the winter campaign season and have returned home to their barracks in the Woolshed. 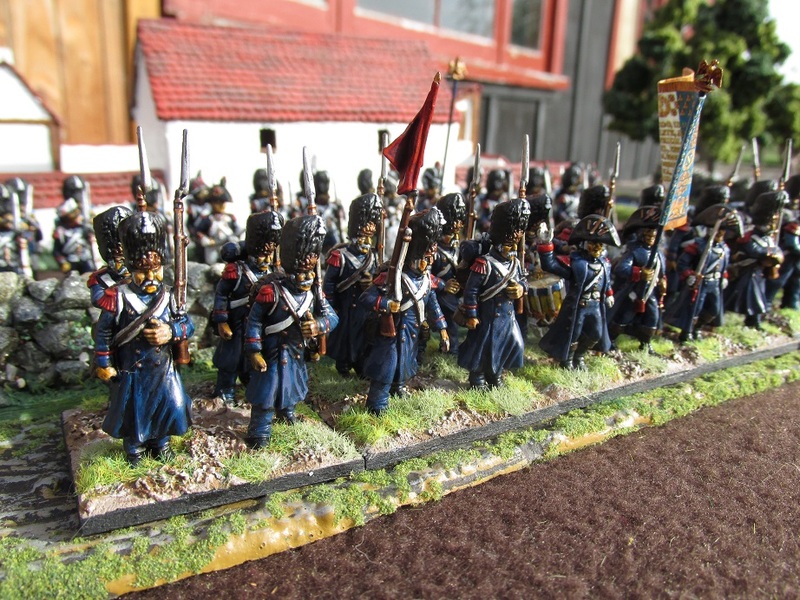 They have fought at Waterloo three times, Quatra Bras and Ligny over a three month period. 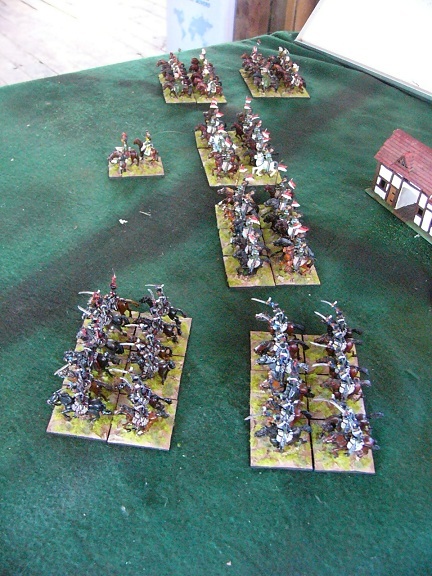 They covered themselves with glory, except for the last game when I was commanding my own troops and made two command rolls in five turns of Black Powder gaming. 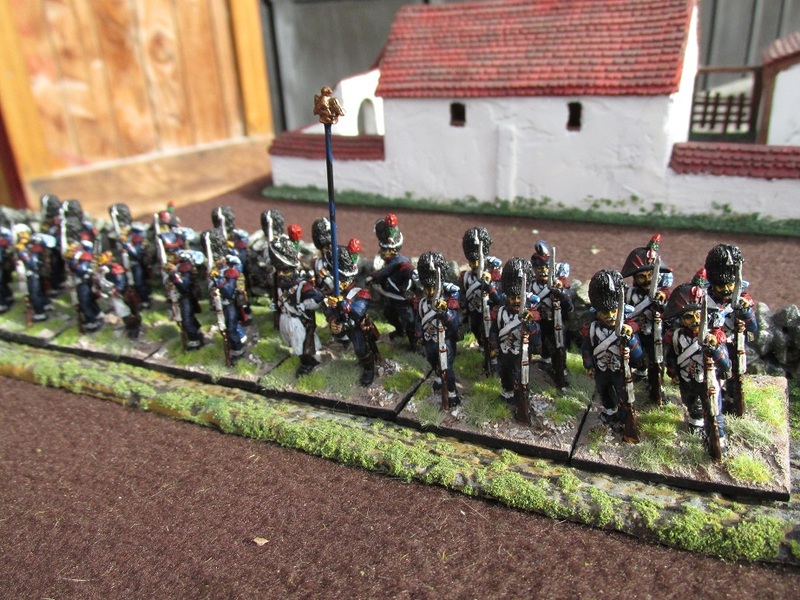 I was unable to attend the first two games due to work and family double-bookings so dropped my guys off to the Waterloo Commemoration Game coordinator’s place way back in June. On the way, I was about two kilometers from his place when a guy pulled out of a gas station right in front of me forcing me to brake way heavier than I wanted to. 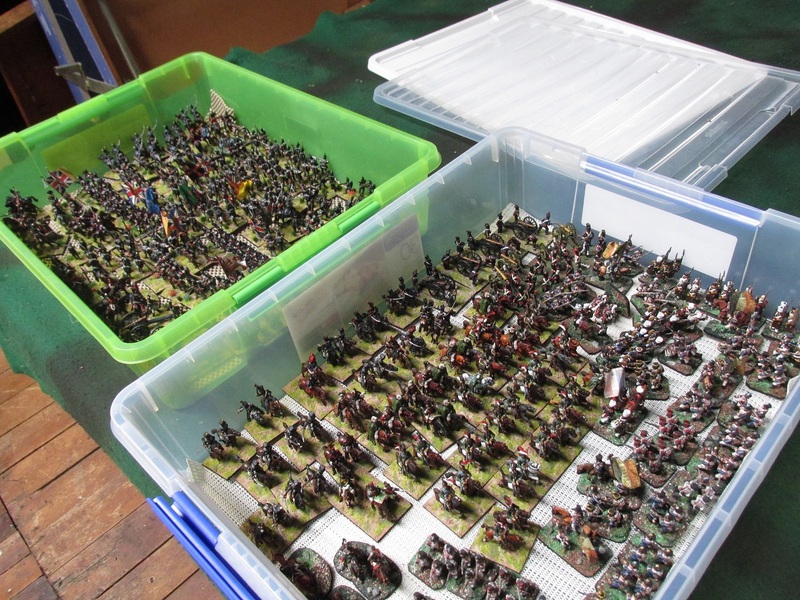 I heard the models jump around and was too afraid to even look in the boxes – I left that for Paul. Well after three months my guys are home and I assessed the damage. You know, I was pleasantly surprised. Nothing that cannot be fixed with a few hours work one evening. 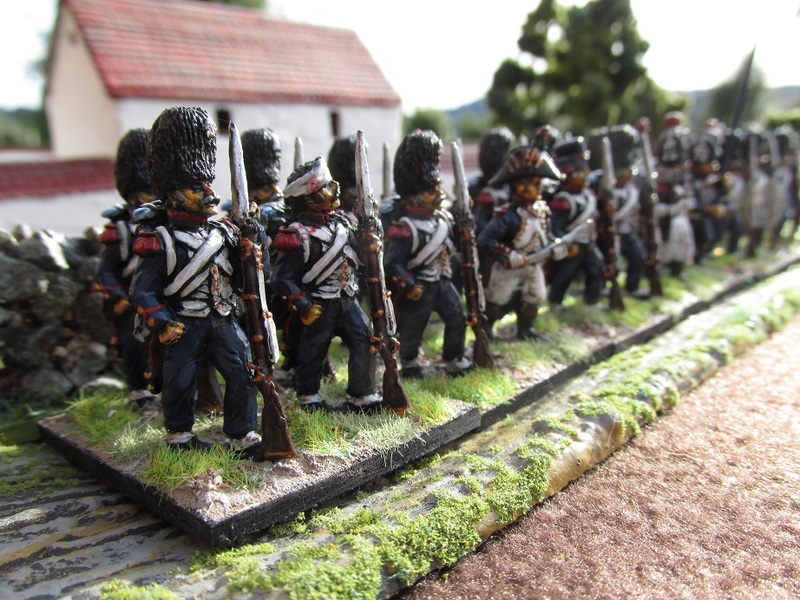 I did learn one thing – my fears for the strength of my Victrirx British infantry were well founded. 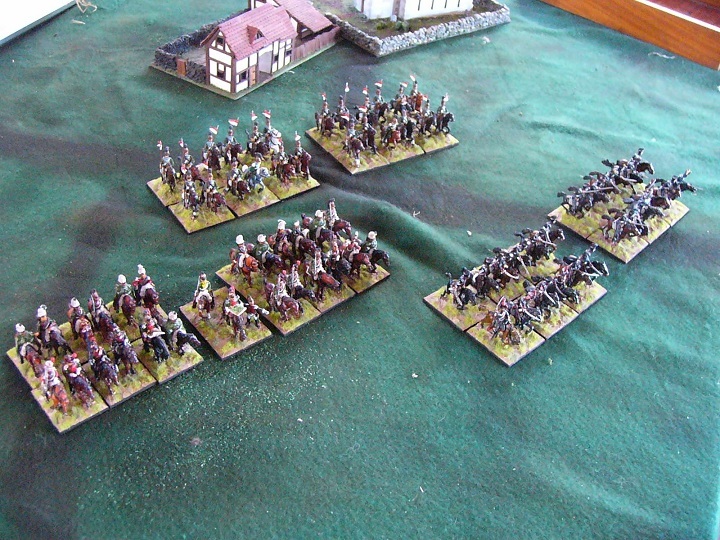 All the damage to my Brits was to Victrix miniatures. None of the metal infantry had so much as a bent bayonet and the Perry plastics came through totally unscathed. Two boxes of British and French arrive home. This Victrix sergeant of the 43rd now has a bayonet that turns about 45 degrees from where it should – currently hanging by a thread of plastic. 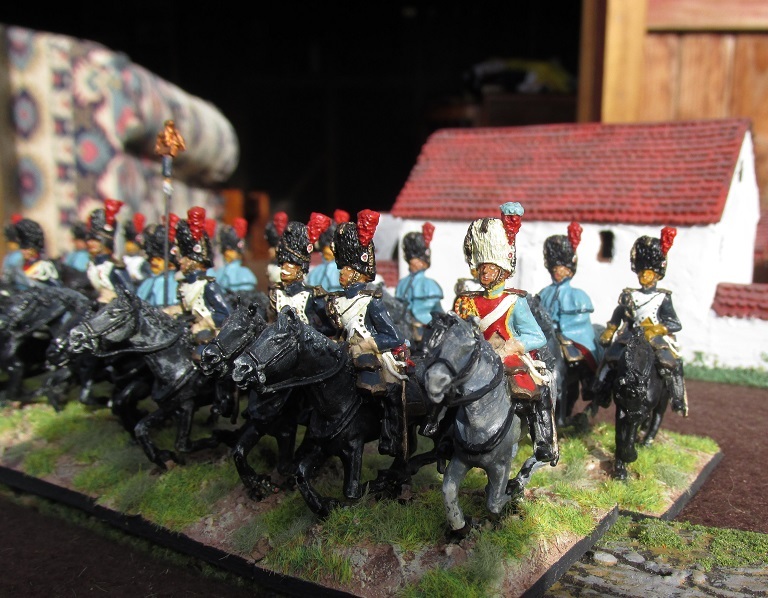 The King’s Colour of the 69th has been shot away – once again Victrix figures. 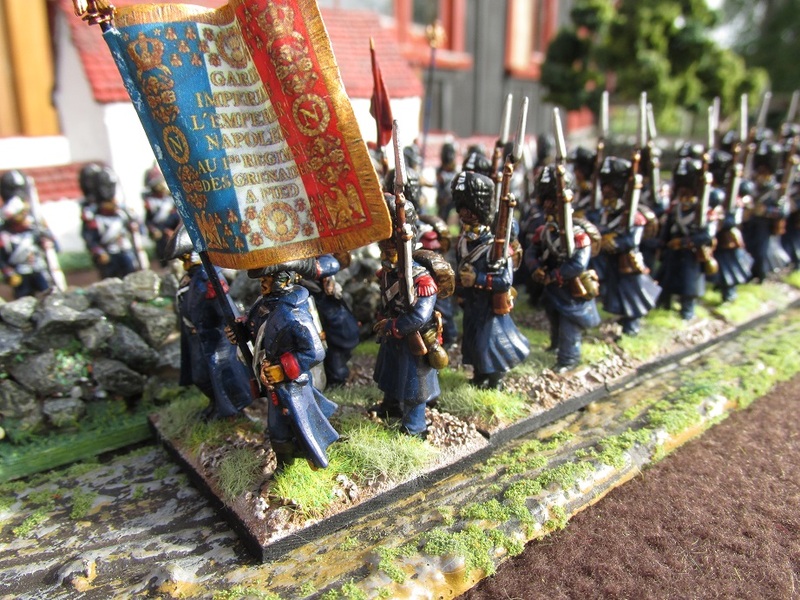 The sole metal casualties of the campaign. 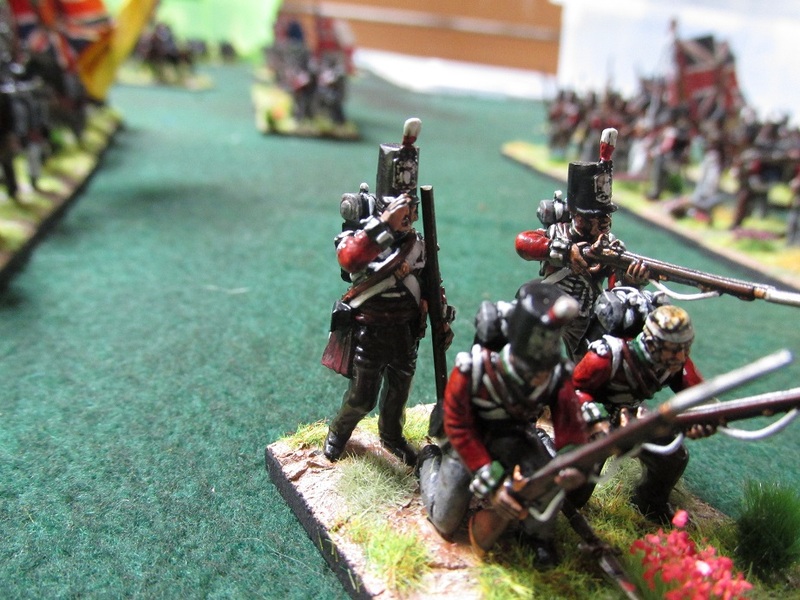 This poor Connoisseur French Chasseur has had his hand taken off by a canon shot. 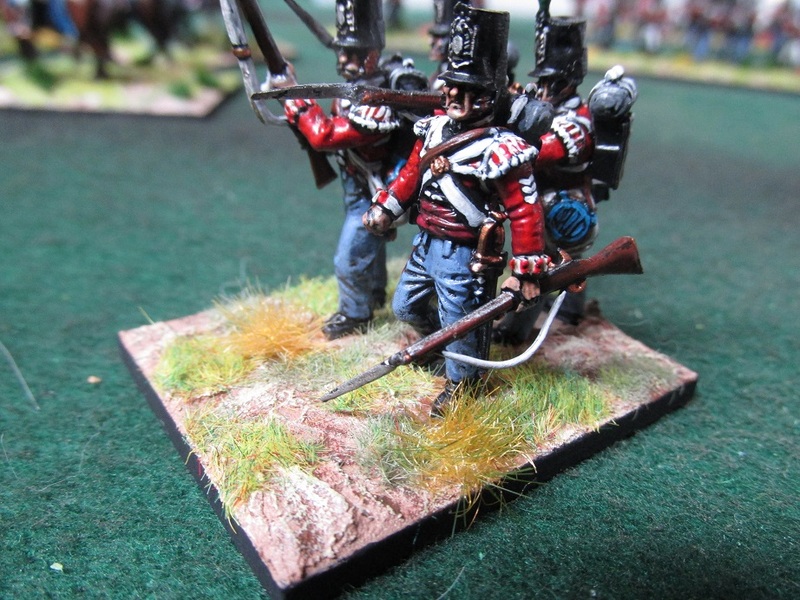 As far as stragglers go – one base of Perry British Riflemen. I am sure they will straggle in over the next few months. 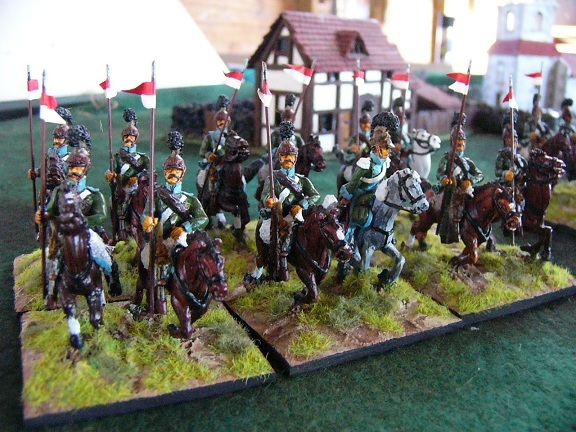 These cavalry figures were the first 28mm figures I ever brought. I remember mail ordering them from the UK in two batches – from Connoisseur when it was run by Peter Gilder and from Hinchliffe. This was back in the early-mid 80s. They took about three months to arrive and were paid for in postal orders that we could only buy at £2 per day from the Post Office. 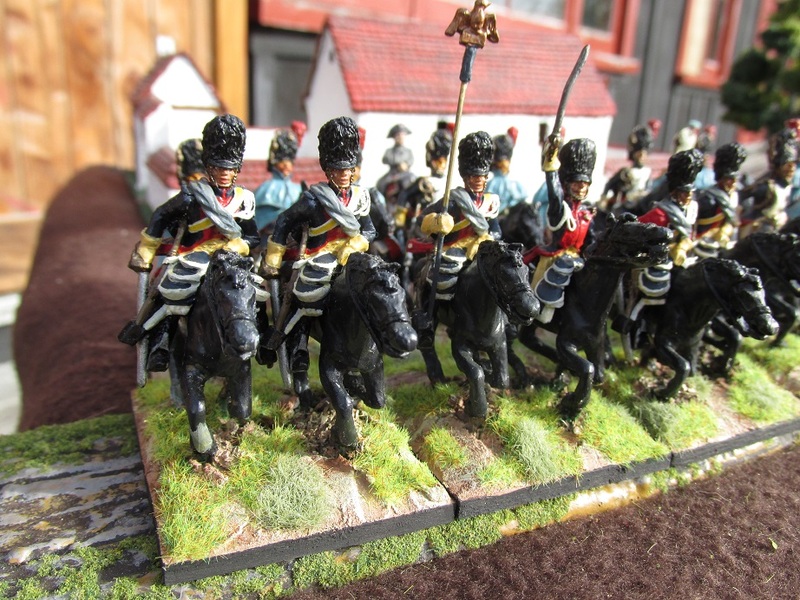 At the time most of the people I gamed with were using Airfix 1/72nd and Minifigs and these guys towered above them. 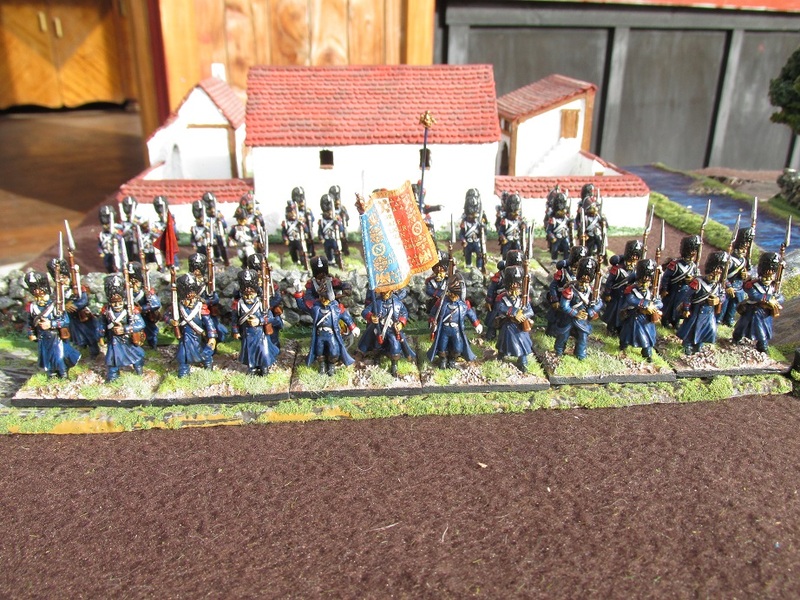 I have often considered stripping and repainting them but decided not to as the nostalgia factor was just too great. 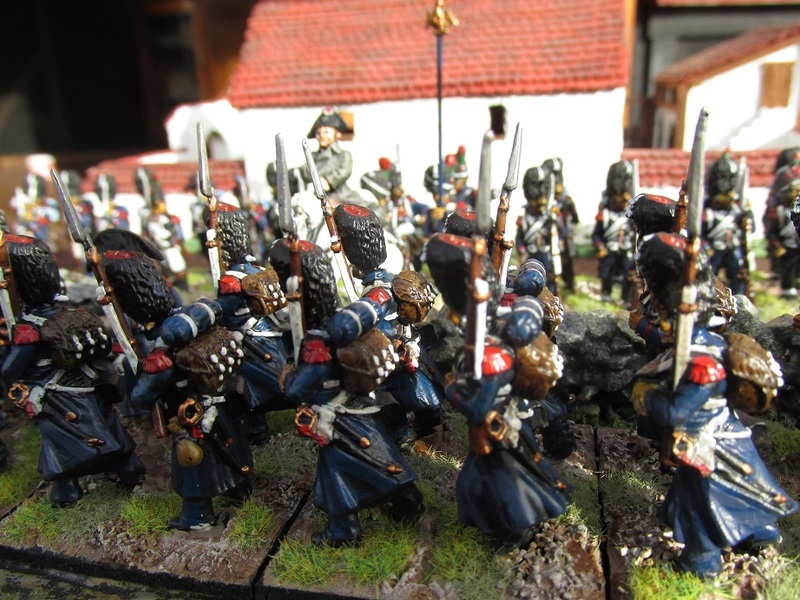 I confined myself to some re-basing and that was it. They had been based on cardboard painted green, then cardboard painted green and covered in bright green railway flock. What were we thinking about in those days? 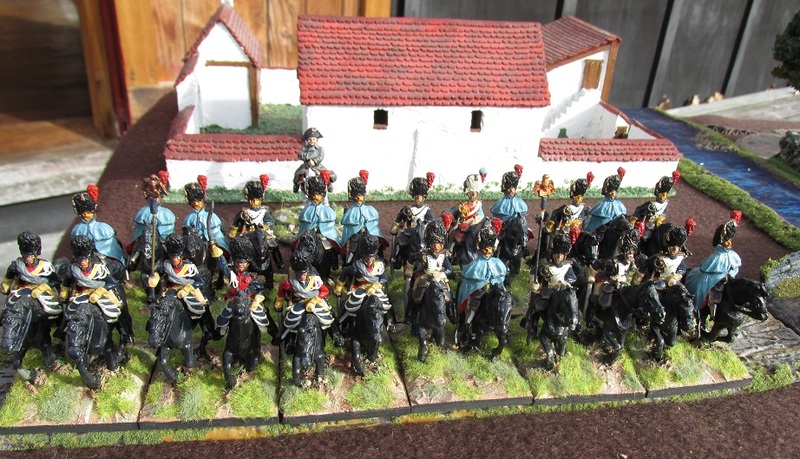 So here is a regiment of Guard Heavy cavalry comprised of Horse Grenadiers and Elite Gendarmes. 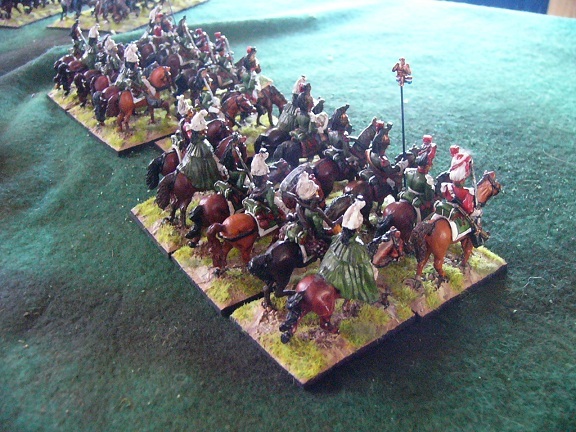 The Horse Grenadiers in cloaks are Hinchliffe and the rest are Connoisseur. The paint is all Humbrol enamel and plastered on thick! These guys have had standards that were originally home made and then GMB ones that faded away since removed. 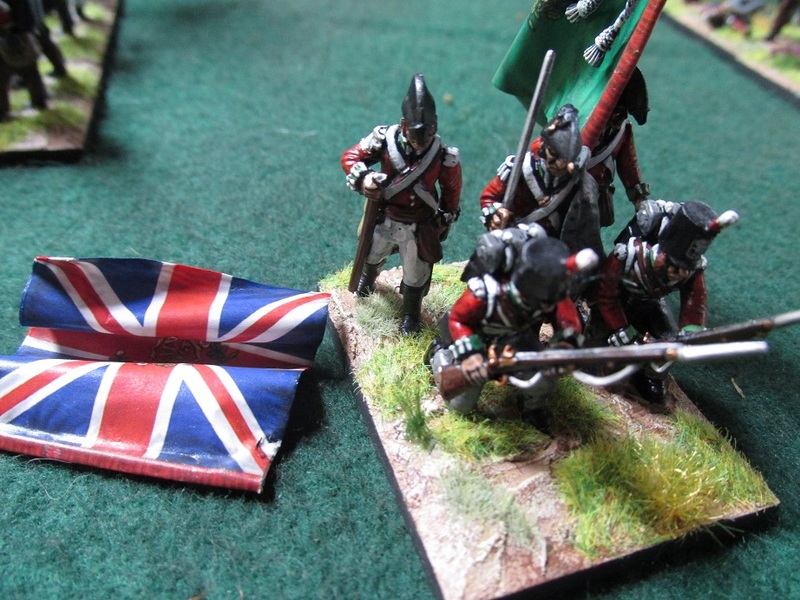 Graham Black sent me some replacements that I have not yet attached to the flagpoles. 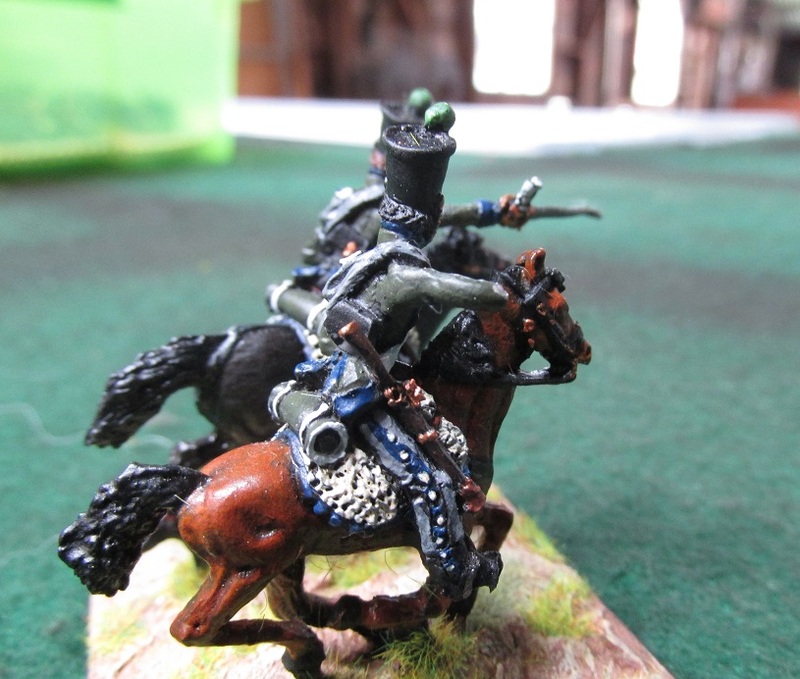 I recently rebased a lot of old models – mostly painted in the 80s (and it shows) and also painted some French Chasseurs a Cheval that I found in a box. I had acquired them in 1985. The models are a mix of Connoisseur, Hinchliffe and Hinchliffe Foremost ranges. The horses are Connoisseur, Hinchliffe and Essex I think. 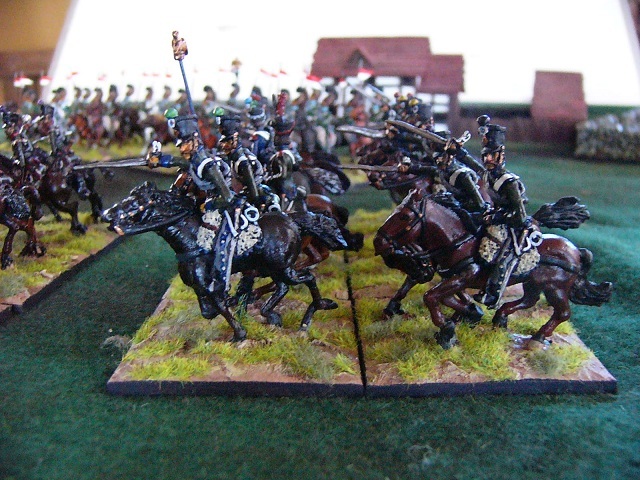 Two regiments each of Chasseurs, Lancers and Dragoons. 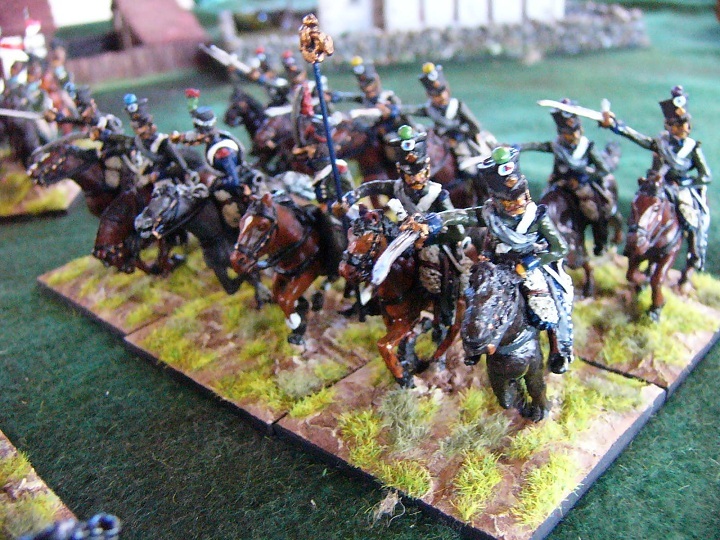 French Line Lancers. Connoisseur models. 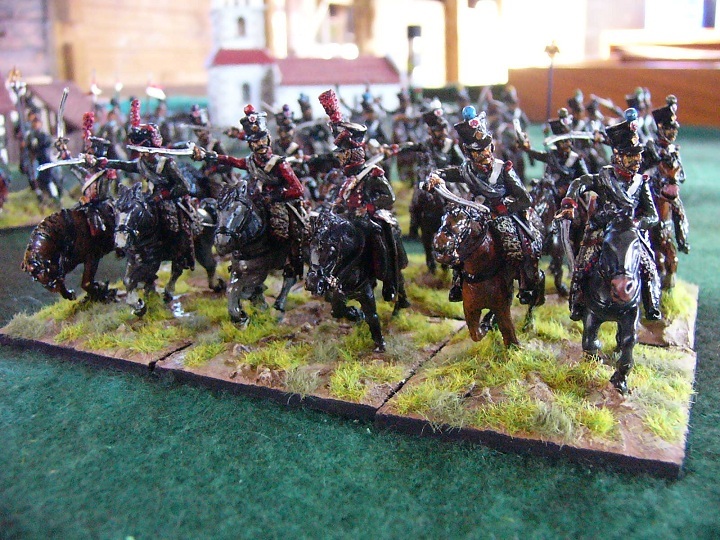 French Dragoons at Rest (mostly Hinchliffe and Foremost). Note the trooper second from right in the back rank with a scythe. Must have been out foraging. 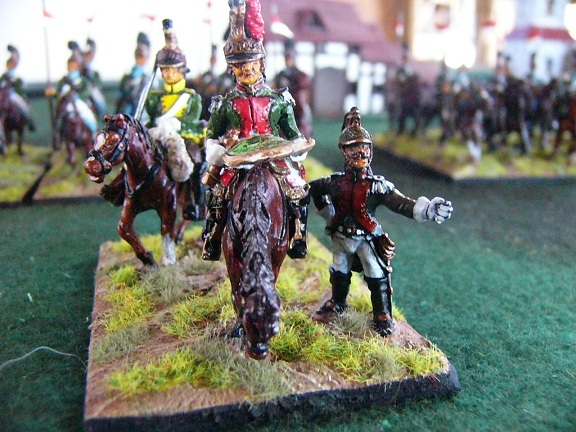 French Chasseurs a Cheval. They are all Connoisseur except for the Elite Company officer and the bugler who are Hinchliffe. Again the horses are a mix of whatever I had. I am not even sure who made some of them – the result of buying horses at Bring and Buys at conventions over the years. I always figured it was cheaper to ship just the riders from the other side of the world to New Zealand than to bring their mounts with them – so I have a huge remount depot available. 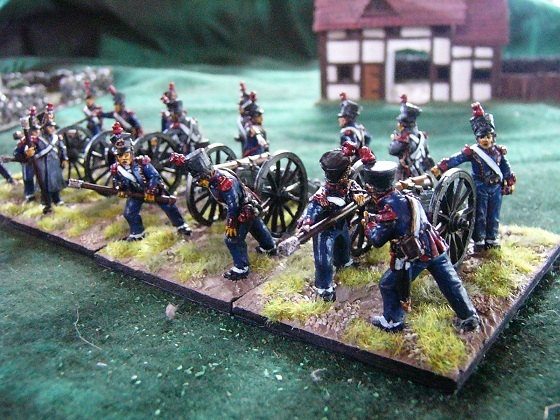 28mm Perry French Line Artillery. 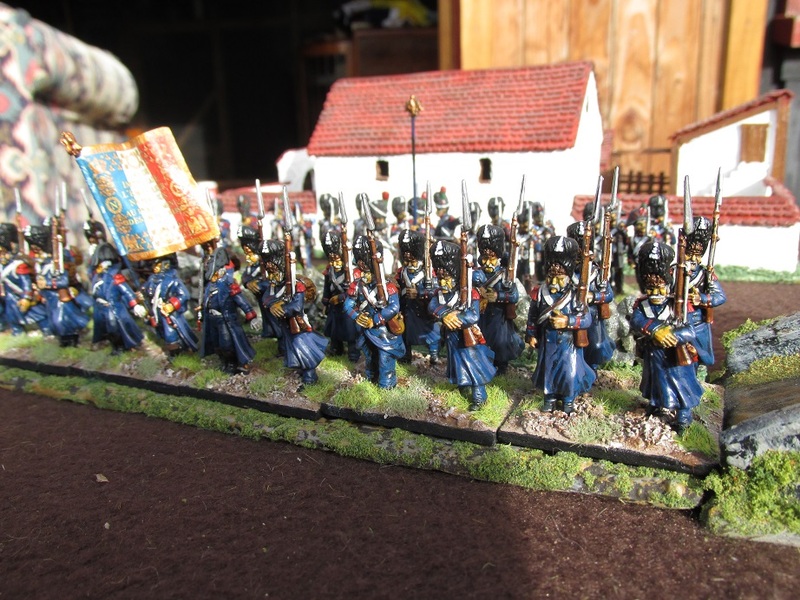 Finally got these chaps finished. Brought so long ago the shop that sold them to me has been out of business for six months. I had actually forgotten I had them until I unpacked a box of crap left untouched since we moved to the country three years ago. It was a little like Christmas. 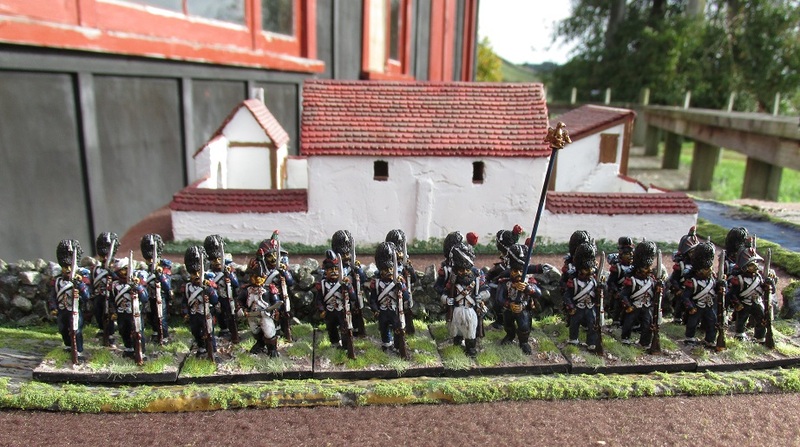 Also found some Perry French Marshals and a pack of Senior Officers of various regiments lounging about and a whole lot of woodland Indians I had got for a stalled War of 1812 project. Hopefully not stalled for too much longer. 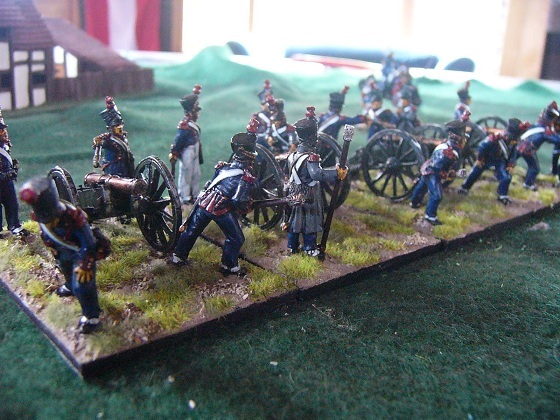 Anyways, I used to have my artillery mounted on 40mm wide bases but went with 50mm wide for this unit. I think it works a lot better. They are a mixture of sets FN17, 18 and 19. 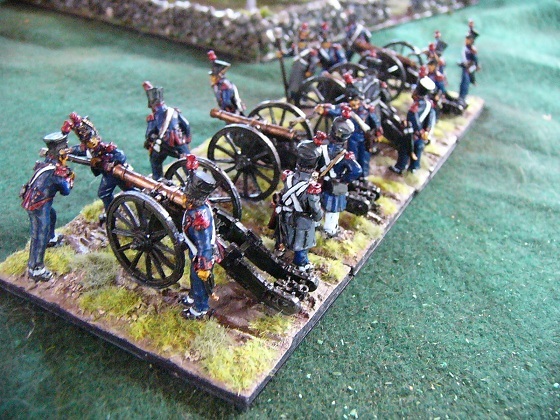 I like three to four gun batteries for Napoleonics. They look more like an artillery battery to me than a single gun model or perhaps two stuck on the table. 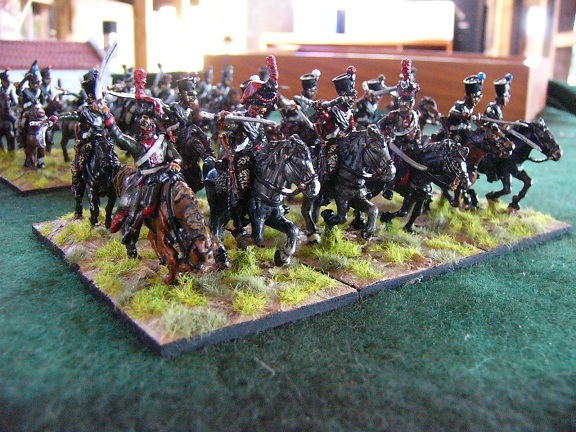 My next artillery project is a unit of French Guard Horse artillery. 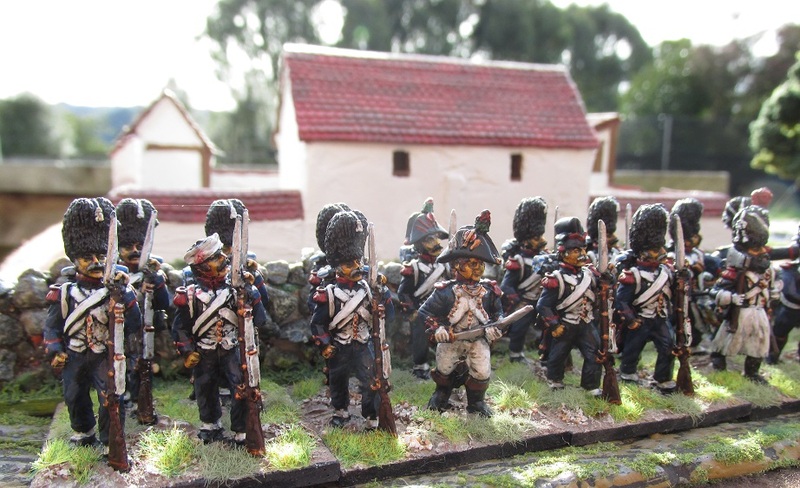 I am going with Elite Miniatures guns (when I order them next week), Bircorne Minitaures crew and probably Hinchliffe Limbers because I have about thirty of them from a bulk lot I got about twenty years ago off a wargamer who was retiring from the hobby.